In beautiful Poppy themed packaging based on the Wild Meadow Poppies watercolour painting in a Country Diary of an Edwardian Lady, the Wild Meadow floral fragrance using scents from rose, wild orange and geranium oils is available in various toiletries by Norfolk Lavender. The Wild Meadow Hand Soap and China Dish Set is ideal to give as a gift, or add to your own Wild Meadow Collection, the 100g soap is beautifully scented and free of sodium lauryl ether sulphate and parabens, wrapped in the pretty Poppy design and supplied with the Bone China Soap Dish with drainage holes. Wild Meadow Hand Soap is also available to buy without the soap dish. If you prefer liquid hand soap, this is also available, Wild Meadow Liquid Hand Soap from Norfolk Lavender contains natural sugar-based foaming agents fragranced with rose, citrus, lavender and bergamot essential oils, in an easy to use pump-action dispenser, with the pretty poppy design it compliments any bathroom decor. For the ultimate in wild flower luxury, relax in the shower while smothering yourself in The Country Diary of an Edwardian Lady Wild Meadow Shower Gel,with sweet orange and geranium essential oils, plus fragrant Calendula flower extract giving a delicate Wild Meadow floral fragrance using scents from rose, wild orange and geranium oils. It’s soft and gentle on your skin and leaves you feeling cleansed and refreshed. Alternatively, fill your bath with soothing warm water, add a small amount of Wild Meadow Foam Bath and relax in a heavenly Wild Meadow bath full of delicately scented bubbles, sit back close your eyes and feel the tension slip away as you lose yourself in the fresh Wild Meadow fragrance. Complete the fragrant luxury with Wild Meadow Body Talcum Powder, a super-fine dusting talc to leave you fresh, dry and feeling wonderful. Made with a natural starch base and fragranced with rose, palmarosa and geranium with top notes of bergamot with a delicate Wild Meadow floral fragrance using scents from rose, wild orange and geranium oils. To soothe and nourish your hands and nails, try the delightful Wild Meadow Hand and Nail Cream. It softens and soothes hardworking hands, nourishes nails and moisturises the skin with the natural wheat germ, olive and jojoba oils in a light, easily absorbed cream base. For all over body moisture, the Enriching Body Lotion from the Country Diary of an Edwardian Lady Wild Meadow collection. Containing moisturising avocado and jojoba essential oils, plus chamomile and Calendula flower extracts, to soothe and nourish your skin. It has the delicate Wild Meadow floral fragrance using scents from rose, wild orange and geranium oils. It’s like a celebration of Spring all year round! Norfolk Lavender understand the needs of gardeners and have turned their expertise to soothing and practical gifts for keen gardeners. The Fragrant Gardener Collection is ideal for anyone that spends a great deal of time outside. With soothing ingredients to replenish lost moisture and nourish the skin, the Fragrant Gardener Toiletries contain natural plant extracts and essential oils. The Fragrant Gardener Intensive Hand and Nail Cream contains Olive Oil, Shea Butter, English Lavender, extracts of Aloe Vera, Lemon Balm and Clary Sage to moisturise, smooth and recondition hands and nails after a hard days work. Before using the Fragrant Gardener Intensive Hand and Nail Cream, cleanse your hands thoroughly with the gentle Fragrant Gardener Anti-Bacterial Handwash. It comes in a handy pump dispenser making it more hygienic and creating less mess than traditional soap. It contains glycerine, Tea Tree, English Rosemary and Aloe Vera for a completely cleansing and moisturising effect. To remove ingrained dirt gently and easily from hard-working hands, try our Fragrant Gardener Moisturising hand and Nail Conditioning Scrub. Traditional floral lavender fragrances blended with aloe vera, almond shells, glycerine, flowers, roots and natural herbs. It removes even the most stubborn dirt while soothing and nourishing your skin. I love the great outdoors, and personally spend most of my time outside, the only thing that really bugs me is the insect bites! Don’t let Gnats and other little beasties ruin your time outside, you can deter them easily and effectively with The Fragrant Gardener Insect Repellant. A little goes a long way, just apply to your pulse points. 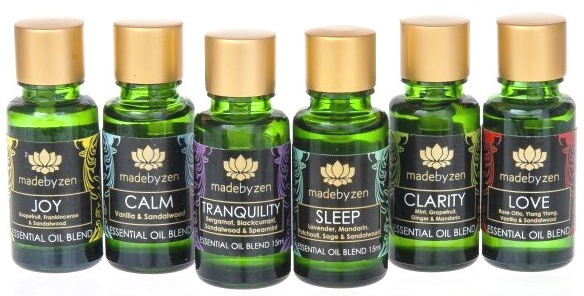 Traditional floral lavender fragrances blended with lemon grass, florals, eucalyptus and woods such as pine and oak. Ease tired aching muscles in the Fragrant Gardeners Moisturising and Relaxing Bath Soak. Gentle soothing bubbles blended with rosemary, chamomile, ginseng and aloe vera to soak your cares away. The Fragrant Gardener Toiletries Range from Norfolk Lavender is kind and gentle on your skin, the products have not been tested on animals and are free of sodium lauryl ether sulphate and parabens. They all contain natural ingredients and essential oils to soothe, relax and cleanse you from top to toes leaving you relaxed and refreshed every day!